Catering to families practicing seasonal outdoor activities and individuals that have a passion for action sports, our outdoor business supplies niche, top-of-the-line apparel and equipment for camping, fishing, hiking, skateboarding, and climbing. The high quality, high-style packs of the Eastpak brand were first created nearly 40 years ago by Eastern Canvas Products, Inc., a manufacturer of duffel bags, backpacks and safety equipment for the U.S. Army. Today, the Eastpak brand infuses style and innovation into its street-smart backpacks, convenient Shoulder Bags and ingenious travel inventions, such as the creation of wheeled luggage, making it easy to move across town or across the world. 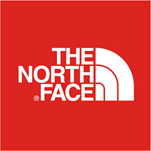 Built on innovation, The North Face brand offers unrivaled, technically advanced outdoor products designed for everyone from the most accomplished climbers, mountaineers, snowsport athletes and endurance athletes to novice explorers in search of adventure. Expanding from a single storefront in San Francisco, The North Face® brand has been revolutionizing outdoor gear and inspiring a global movement of exploration for nearly 50 years. The North Face® brand delivers an extensive line of outdoor performance apparel, footwear, and equipment that pushes the boundaries of innovation. Vans is a worldwide retailer and dominant force in the action sports industry and the genuine brand of choice for the contemporary lifestyle consumer. Vans offers a fully comprehensive range of footwear, apparel, and accessories for men, women and kids. This full range can be found in either one of our multi-brand stores, Carbon Fibre and Explorers Base. In 1966, the Van Doren Rubber Company opened up for business in California. Within a few years, the entire skate culture adopted Vans shoes as their favorite brand, and today Vans still represents a look that epitomizes the Southern California lifestyle. Carbon Fiber is our very own multi-brand retail concept with five branches each in Kuwait’s highest footfall areas. Our retailer is a one-stop hub for outdoor products and school supplies, apparel and equipment, housing some of the world’s most sought out brands like The North Face, Eastpak, Jansport, Vans and Franklin & Marshall. Explorers Base is another one of own multi-brand retail concepts that is now Kuwait’s largest premium supplier of outdoor gear and equipment for niche activities and sports like camping, hiking, marine, diving, and traveling. From insulated plastic bottles, all the way to revolutionary fishing reels, Explorers Base provides consumers with a wide selection of products that is fit for the Kuwaiti winter and summer needs. Some of the brands include: Accurate, Bushnell, Cebe, Coleman, and Magma.